Kaylie loves eating ice cream. 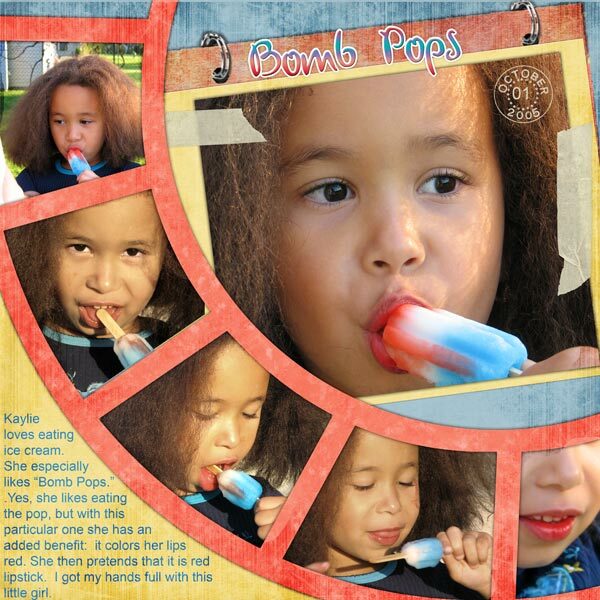 She especially likes “Bomb Pops.” .Yes, she likes eating the pop, but with this particular one she has an added benefit: it colors her lips red. She then pretends that it is red lipstick. I got my hands full with this little girl. Masking tape is from Maya’s Dumpster Diving element set.